It's relaunched. But read the fine print. 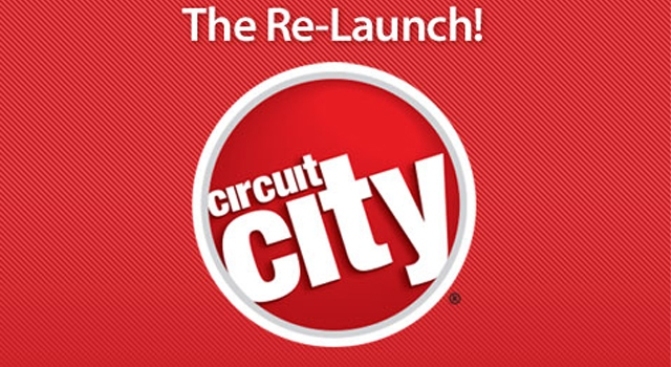 Circuit City is back -- at least in its online form. CircuitCity.com returned Monday after Systemax Inc. bought the brand name, Web site and customer info on May 19. The company already owns the assets of CompUSA. Because it bought all the company info, those old Circuit City customers can opt-out of having their personal info transferred over. Click here to learn more about that. The new site is populated full of electronics gear and gadgets, but it's unclear if, over time, you'll find any bargains compared to other sites like BestBuy.com. While the retailer's rebirth is welcome news to consumers looking for competitive prices, the company's harsh return policy could turn shoppers away. "Some manufacturers have implemented returns restrictions that prevent CircuitCity.com from being able to accept returns or offer exchanges, replacements or credits on their products," the company said on its Web site. "Products from manufacturers such as Compaq, IBM, Hewlett Packard, Toshiba, Epson and others are not returnable to CircuitCity.com FOR ANY REASON,"" according to the site. Circuit City said that all support and exchanges or replacements for defective merchandise, including those within the first 30 days of ownership, have to be handled directly with the product manufacturer. In addition, software and consumables such as toner cartridges, ink cartridges and digital media are not returnable, period. So just as has been the case ever since online purchases began, one simple truth remains: buyer beware.